For many digital marketers, our Pavlov reaction will be to open up the network ads manager or a spreadsheet and point to individual network conversion performance (total conversions, cost per conversion, conversion rate) to justify the media spend. However well-intended, this approach is often misguided. There are a few key issues with using ad network conversion tracking to reveal business impact. There’s a reason why your branded search themed ad groups or your social retargeting ad sets post the lowest cost per acquisition trends. Your ideal prospect has likely already engaged with a marketing campaign in the same ad account or within a different network, yet you don’t see the full picture. To see this for yourself, open the conversion window options in the network ad platform. Pull a Conversion Path Report from Google Analytics, and it likely will reveal that many of the common conversion paths include multiple touch points and sources that aided in driving the conversion action. Have you ever ran a demand generation or acquisition campaign only to find the total amount of conversions reported across all your ad networks are higher than the number of new prospects added into your database? Your retargeting campaigns are likely leading to double counting. 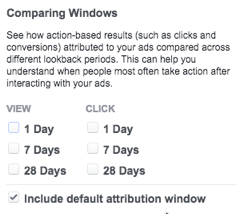 For example: someone clicked on your search ad on Google, visited your website, and then converted on a retargeted Facebook newsfeed ad by filling out a demo form. In this scenario, AdWords would report a conversion – as will Facebook Ads – despite there only being one person who filled out the form. 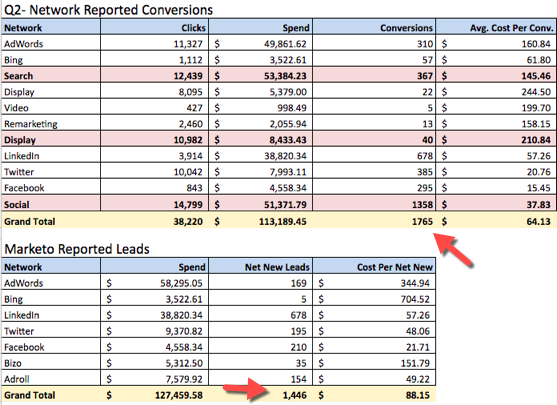 In the chart above, notice the difference in the total amount of conversions and cost per conversion trends reported by the native networks, versus the cost per new prospect and cost per acquired new prospect trends reported out of the marketing automation system. E-commerce marketers have the luxury of being able to track all of their customer journey metrics, from the initial touch to the purchase, captured in web analytics. They can easily understand the impact of marketing campaigns and channels, and associated return for each digital advertising dollar spent. For the rest of us, especially for those in B2B businesses, a customer journey includes various touch points: sales phone calls, emails, on-site events, and the occasional steak dinner to land the deal. With sales cycles ranging from weeks to months versus e-commerce purchases that happen in hours or days, it can be very tricky to understand the impact of ad campaigns on business metrics such as opportunities created and closed-won revenue. Forrester revealed in a report that less than 1% of marketing leads turn into new customers for B2B businesses. A core reason for this trend is a lack of reporting visibility into marketing campaigns effectiveness after the initial interaction occurs. Which makes sense, as marketers optimize what they can track: total leads and cost per lead. However, if you have been in the game for awhile, you know that web conversions don’t account for a crucial component: lead quality. Online tracking stops at the web action, while your CRM tracks the entire customer lifecycle. Customer data is crucial when understanding if your ad campaigns are leading to more opportunities and sales. *Note: Individual company stages, models, and definitions can fluctuate, but they are typically rooted in this design. Lead A prospect has an interaction on your website or offline touch point such as an event. Their information is added to the business CRM. Most network conversions track up to here. Sales Qualified Contact A prospect meets certain criteria: company size, revenue, geography, budget, product need, or demo request. Opportunity A need and fit for your product or service is established. This is the negotiation stage to see if the prospect and company will buy. Closed Won or Lost Customer The outcome of the negotiation stage, hopefully resulting in a new customer and closed-won sales contract. If you track performance down to the opportunity and sale level, it can often unearth areas where relying on conversion tracking or cost per lead metrics alone are short-sighted. For example, take the table below. Both campaign A and B have a total budget of $3,000. Relying on web conversion tracking, it appears that Campaign B is outperforming Campaign A with an average cost per lead of $88 versus $94 trending. However, as we track the performance deeper into the sales funnel, it reveals that Campaign A not only provides a lower cost per opportunity, but a higher overall return on ad spend. Conversions reported by the native networks are still very helpful. Before you have a large amount of sales data, they should be used to aid with bid optimization (especially Facebook’s objective bidding or oCPM). They can also be used as the initial line of defense to quickly spot trends of what is or is not performing. However, marketers should not rely on them solely. Instead, they should combine data from web analytics, ad performance metrics, and their CRMs to reveal the true impact of advertising on the business. Let’s review the steps to getting full-funnel tracking for your advertising set-up. Adding additional tracking parameters to each new ad creative will help inform both your CRM and web analytics exactly which ad account, campaign, and ad variation led to a desired action (and which did not). 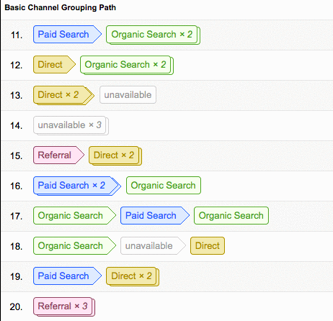 Learn more about the process in our post on tracking conversions with Google Analytics. One-by-one using the Google Custom URL builder. Use templates such as Google’s ValueTrack parameters or Facebook’s URL parameters section when creating an ad. Use an Excel or G-Sheets template. I personally like to use Effin Amazing’s Google Chrome plug-in with presets which pipe into a central G-Sheet as they are made. Out of the box, your web analytics and ad destination tracking parameters will not talk to your CRM. With hidden fields in forms, this information can automatically be captured and mapped in systems like Salesforce. Hidden fields are invisible to web visitors, but pass tracking attributes to your marketing automation database. Within your marketing automation system, create a form that includes a hidden field that will capture the tracking elements in your URL and transcribe them into common fields in your marketing automation and CRM systems, such as lead source and lead source details. On the contact (prospect) and account (company) record pass through and map the hidden fields collected in your CRM. 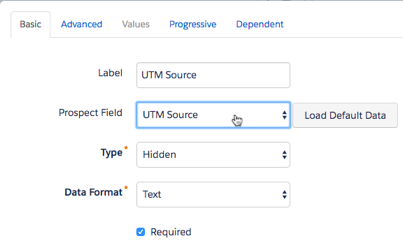 Learn how to add new custom fields in Salesforce. 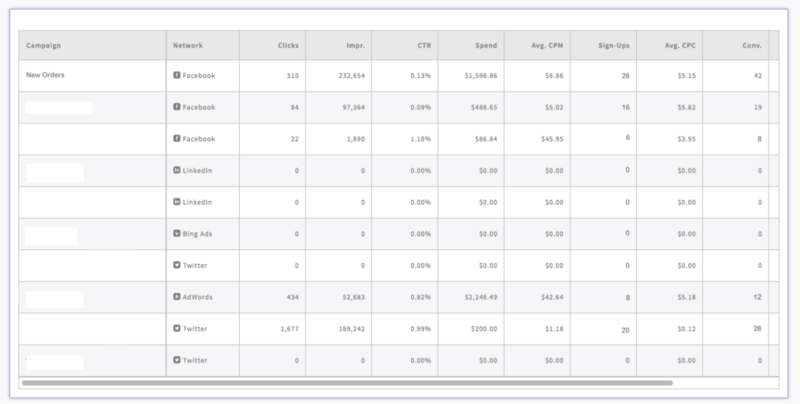 To add and view your down-funnel sales metrics next to your advertising performance metrics for networks like Facebook and Google, you must map the data to “offline conversions” columns. Offline conversions are essentially any key metrics that are not captured using web tracking pixels. Learn more about Google and Facebook’s offline conversion offerings. You can either manually download your campaign and ad performance for each network alongside your Salesforce data, map it in Google Sheets or Excel, and then upload the combined data as separate lists for each network. Alternatively, you could pull it all into Google Sheets and update your offline conversions across all networks in one swoop with access to network APIs. As official advertising partners of Google, Bing, Yahoo, Facebook, LinkedIn, and Twitter, we knew there had to be a way to better streamline this process for our own marketing ad accounts. We use the AdStage Google Sheets data connector add-on to pull in all of our ad campaign data quickly and efficiently. Learn more about AdStage for G-Sheets. We use the G-Connector for Salesforce add-on to pull in Salesforce reports into Google Sheets. Then we use some VLOOKUP formula magic in G-Sheets to merge campaign and account IDs with sales metrics. We download our Google Sheet as a .csv, then convert it to JSON (a data exchange format read by our Universal Data API) using the CSVJSON online converter. This information is sent to AdStage’s Data API and revealed in the platform as AdStage Custom Conversions. Speaking to others who market businesses with off-website sales touches, we found that many advertisers struggle with multi-touch attribution. They are flying blind or dealing with very manual and error-prone processes to simply understand the business impact of their search and social advertising campaigns. We’re excited to announce the release of AdStage Custom Conversions, allowing customers to map their down-funnel sales data from sources like their CRM next to their advertising campaign and ad level metrics to make better, more informed decisions on optimizations. Find your AdStage Custom Conversions as available metrics to in our Report and Automate products, allowing you to analyze the impact of your ad campaigns, then take action by deploying optimization rules and monitoring alerts. Analyze and build reports using AdStage Custom Conversion metrics, then take action by creating campaign monitoring alerts and optimization rules using your custom data.